HOVER MOTOR COMPANY: Lamborghini Countach? If I was a kid, I'd hang a '74 Buick poster on my bedroom wall! Anyway, unlike most of the guys there who actually needed to pay the rent, I was working for one reason: to get some wheels. My dad and I always liked to troll used car lots and just look at what was out there anyway, so it didn’t take long to find a worthy candidate for my first ride. Dad spotted the 13-year-old Buick Colonnade coupe on the back lot of Don Stein Buick in Overland Park. It really didn’t look like much, sitting there with its trash can lid wheel covers and missing urethane pieces around the taillights. It wasn’t exactly the new IROC I had in my brain. Nevertheless, $820 later and it was in our driveway. Now this was my car, but I know dad was as excited about it as I was. His first order of business was to take it directly to Car-X and have dual exhaust with loud mufflers and chrome tips fitted up. I think he figured it would make me forget about the IROC idea and make me lust after old Buicks. And it actually did help quite a bit. There was a crabby old man who walked around our neighborhood all the time, and whenever he walked behind my car while it was running, he’d plug his ears. I have to admit, tormenting that old coot was pretty cool. As time went on, the Buick of my dreams (literally) began to take shape. Buick Road Wheels from the junkyard changed the whole attitude. The broken stuff around the taillights was fixed. I had the seats reupholstered. It was pinstriped at a hot rod show. I learned how to work on things that I couldn’t afford to fix. Actually, now that I’ve become older and lazier, I am not willing to tackle many of the things I did back then. The Buick changed my life in so many ways. That hike to the car wash became much easier. I became the go-to guy when people wanted to go out to lunch or “go do somethin’” after school. I could do a killer one-wheel peel. Dating became more fun. Gas was only like 78-cents, so I could easily feed the Buick and buy a couple of dinners at Olive Garden with my car wash scratch. Then one day, a couple of years in college, Mother Nature sealed the old beater’s fate. I must have waxed it 100-times, but it wasn’t enough to protect it from the baseball-sized hail. It was irreparable, and unacceptable. I convinced my insurance company that it was worth $1,650—almost double what I paid for it—and they let me keep the “totaled” car to sell. It took one day for someone to offer me $1,000 cash, hail and all, and the Buick was gone. 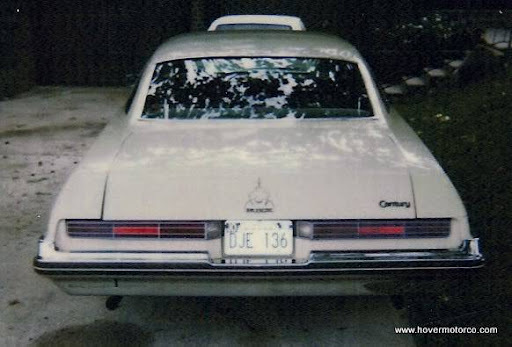 Except for Kojak, not many people ever cared about ’74 Buick Centuries. But, for old-time’s sake, I still have them as a favorite eBay search. I really do miss the old tank—my first true love. Well written and documented with photos. Thanx for including us in your memories. I think ALL car guys and girls have a 'thing' for whatever their first car was. At least their first "real" car - I imagine a hand-me-down civic or tojo would not inspire much in the way of affection or nostalgia. 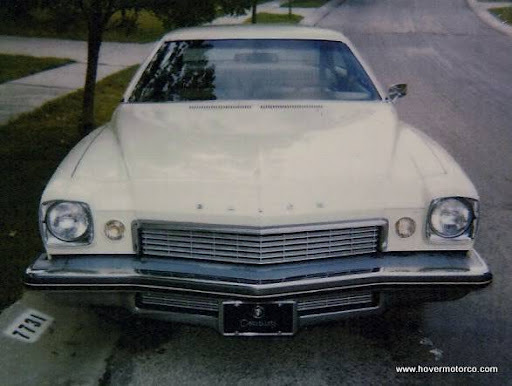 But a 74 Buick Collonade, now thats cool. Even if it wasn't a GS. 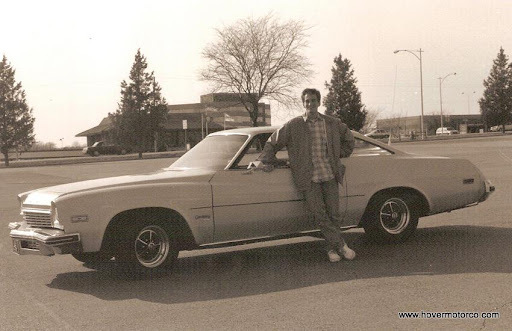 John - At the time, I think the Buick was pretty much just cool to me, but it'd probably be more popular now! It's good that it wasn't a GS, because I doubt I could have handled the power of a sticker package and floor shifter--lol! Mike - Station wagons are another one of those things that maybe didn't seem cool at the time, but they definitely are now! Well, I've never personally been much of a Buick guy, but when I got my first car , it still would have been considered a pretty neat car. Midsize GM and a V8 cant be bad...And I always sorta liked that roofline too. Got to thinking after I posted first, wasn't 73 the last GS? I had an acquaintance that had one of those - black on black, 455 auto Stage One car; pretty neat. But I take it from your reply that there was at least a decal option GS in 74. 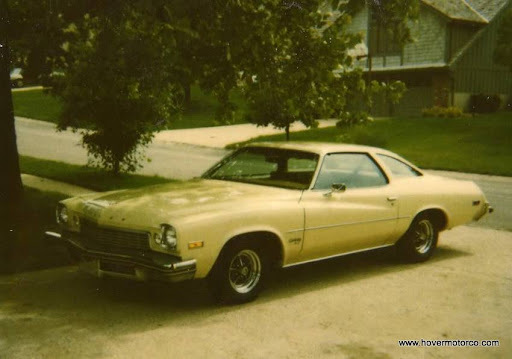 I know there were Chevelle SS's then and the 454 was still available - had an english teacher that had a maroon and silver one she, yes, she, bought new when I was in Jr High. Anyway, thanx again for posting. I just clicked over to the site today to see what new pictures there were and decided to look at this post again as I enjoyed it so much the first time.